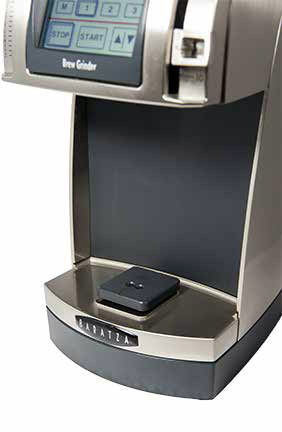 The Forte AP (All Purpose) grinder can grind from coarse to fine and comes with a 54mm flat ceramic burr, grounds bin for use when grinding by weight, plus a portaholder for use when grinding directly to your portafilter. The Forte AP is a compact, commercial grade grinder, dedicated to grinding for ALL brew methods. 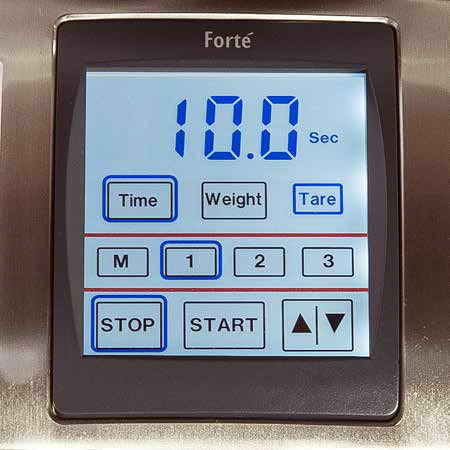 The Forte AP incorporates many features that fit well into commercial operations, including: all metal construction , small footprint , intuitive control panel , and solid macro/micro adjustment.The Forte - AP offers the ability to grind by time, for espresso dosing, or by weight. Coffee professionals find the Forte AP to be a versatile grinder for many situations  as a small restaurant and office espresso/brew grinder, as a Roaster demo grinder for wholesale tasting, or being a dedicated grinder for decaf or single origin in a cafe. The Forte AP is a durable workhorse using a 54mm flat ceramic burr , which produces an accurate and precise grind, delivering exceptional cup quality for brew methods from espresso to press pot. We re designed the guts of the Vario - W for commercial use. 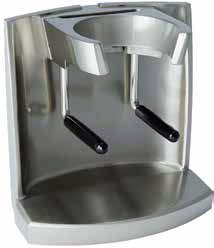 The Forte AP design includes a grinding assembly with a threaded burr holder which screws firmly into an all - metal grinding chamber for a more accurate grind. A larger gear to belt ratio, combined with a more efficient DC motor, increases the speed of grind and duty cycle. 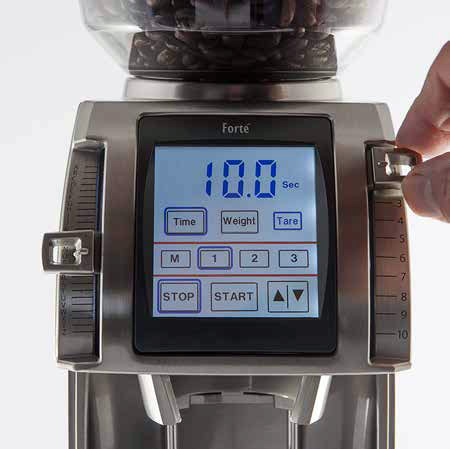 Espresso Dosing : A unique feature of the Forte AP is the ability to convert a weight preset into a timed value that is accurate within plus or minus .5 grams of the set point . This allows for weight - oriented dosing for espresso. Burrs : The Forte AP grinder comes with 54mm ceramic flat burrs for accurate and precise grinding. The Forte AP grinds at an average of 2.0g/sec for espresso and 3.5 to 3.7g/sec for press pot. The range of grind is 230 to 1150 microns. 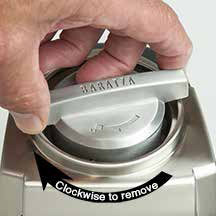 Adjustment/Grind Range : An all - metal macro and micro adjustment system produces a positive feel and secure grind setting. The macro - adjust moves from fine to coarse grinding in 10 distinct and repeatable settings. A secondary micro - adjust further divides each of the 10 macro steps into 26 distinct settings. These steps, plus the new metal detents, enable fine - tuning with ease, dialing in the exact grind for the preferred brew method being used. Hopper : The hopper holds approximately 300g of coffee. An innovative bean shutoff feature in the collar permits no - mess, no - fuss hopper removal for changing out beans. Bean waste (below the stopper) averages a surprisingly low 10g, once the hopper has been shut off (all weights are bean density dependent). A hopper extension is available that can add an additional 250g of capacity. Cleaning Burrs : Burrs can easily be removed for cleaning using the cast zinc tool that is included with your Forte.